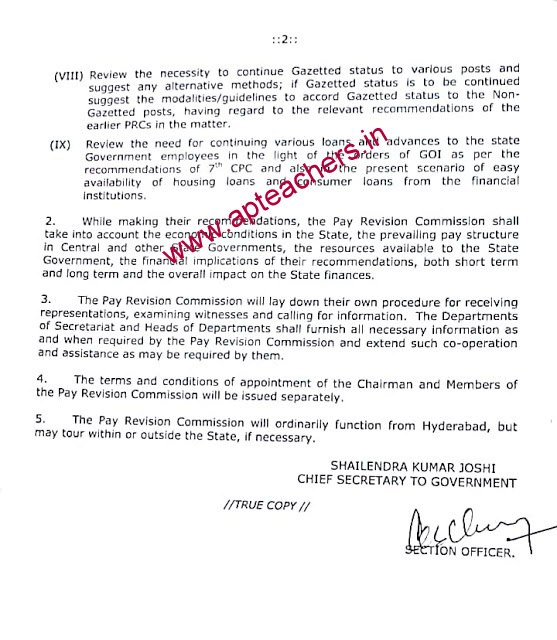 Telangana 11th PRC Commission Pay Revision Commission Constituted. 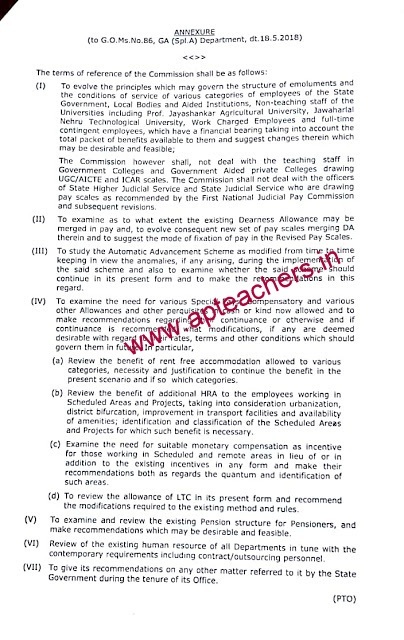 The Pay Scales of State Government employees were revised with effect from 1.7.2013, with monetary bench: from 2.6.2014. As per convention, the Pay Scales of the Employees, are due for revision with effect from 1.7.2018. Government, after careful examination of the matter, hereby decide to constitute the first Pay Revision Commission for tne Teangana State Government Employees.